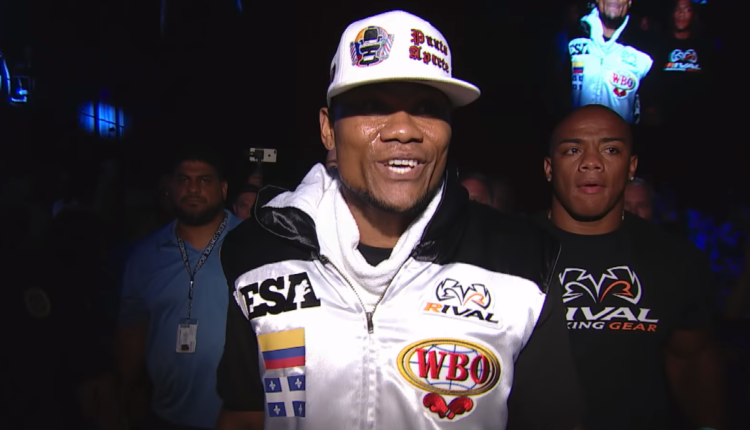 Following his upset victory over Sergey Kovalev, WBO light heavyweight champion Eleider Alvarez is no longer looking for recognition, he’s looking to get paid. The Montreal based boxer has signed a new deal with Top Rank to not only broadcast his fights on ESPN, but a guaranteed purse of at least $1,000,000 a fight over his next seven fights. Per Radio Canada, Alvarez will also get a cut of any pay-per-view headlining fights and revenue from ticket sales for each of his fights. “Despite all this money, I have the same motivation. Honestly, I did not follow the negotiations. I was not aware of anything. It was in the hands of my manager. All I know is that I’m expected in Texas on February 2nd,” Alvarez said this week following the deal and announcement of his February 2nd fight against Kovalev in Frisco, Texas. “We have never signed a contract of this magnitude. I have never seen our American partners be so determined to give us the necessary conditions so that we make an association. I am convinced that this agreement will allow us to bring Eleider to the rank of American mega-stars,” said Alvarez Co-Promoter Yvon Michel.